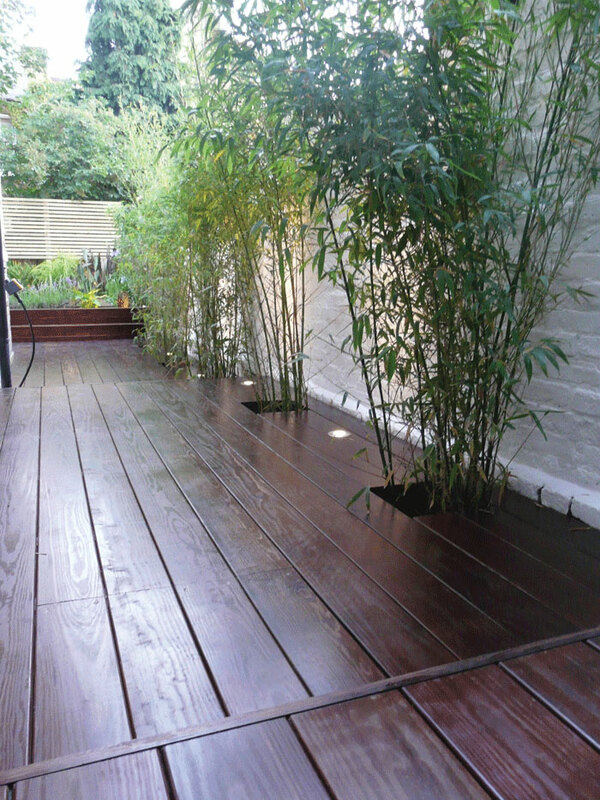 Our garden decking services team excel in designing and implementing all types of decking systems, whether it is for your own home or commercial business. A stylish wooden deck allows you to extend your inside living space to the outside, or to create a new one from scratch. 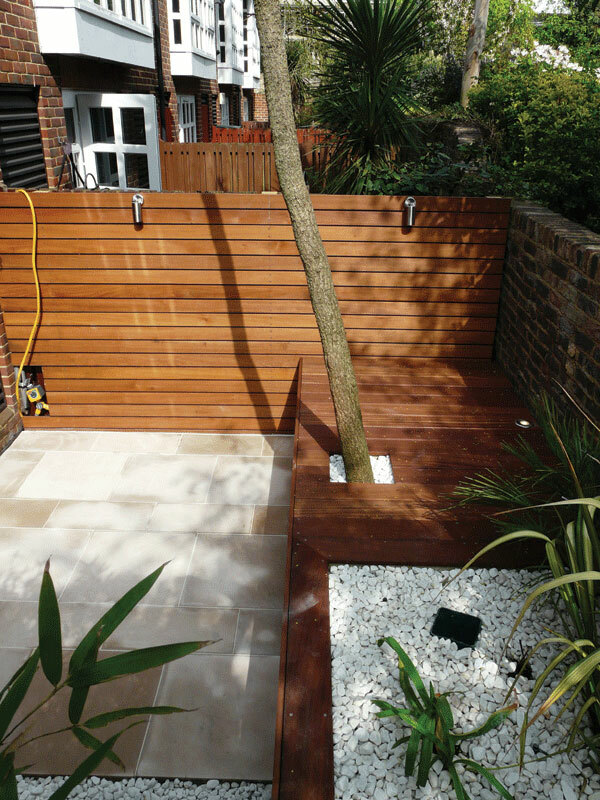 We specialise in designing and implementing all types of decking systems, whether it be for home or commercial settings, garden, balcony or roof terrace. With our expertise and experience, we will help you to make an informed decision regarding choice and style of materials, assuring that they are installed to the highest standard. 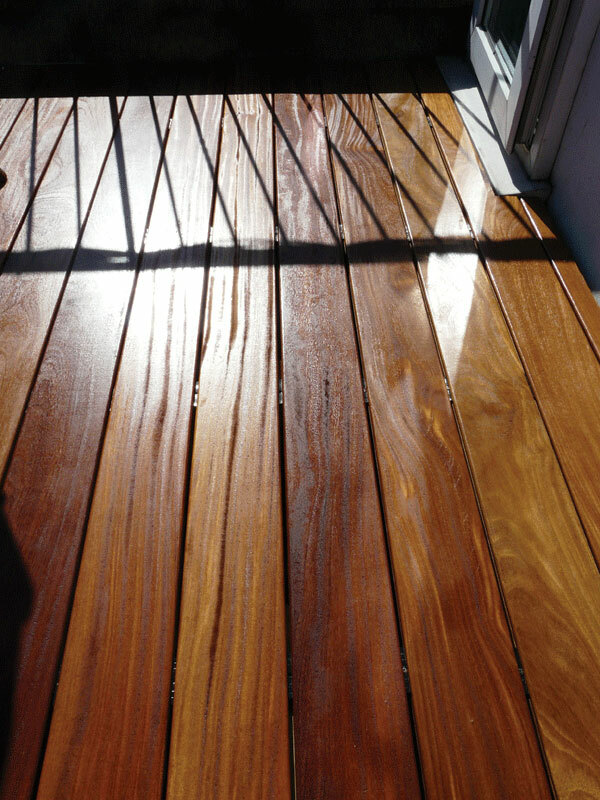 We generally only install smooth profile, hardwood decking boards, using Ipe, Cumaru, Balau and occasionally Iroko, as these are both truly beautiful and especially hardwearing. Ipe and Cumaru have a further advantage in that they can both be fitted using a hidden clip system. This means there are no screws through the face of the board, apart from the occasional edging piece or facia board. Instead the boards are secured into the framework, through ‘biscuit’ clips recessed into grooves, which run along the edge of the board. This looks particularly elegant and further enhances the beauty of the wood and its under-foot tactility. We do occasionally use softwood decking boards, but increasingly only the engineered versions such as Kebony. See an example in one of our garden design projects. One of the clear advantages of decking, over any other form of hard standing, is that it easily utilises areas of uneven or sloping terrain, which would otherwise require levelling or terracing, at what would be a significant extra expense. This flexibility also allows the designer to both cover unsightly drainage covers and similar obstacles, whilst at the same time giving the ability to easily create added interest to a design by constructing different levels, heights and shapes. 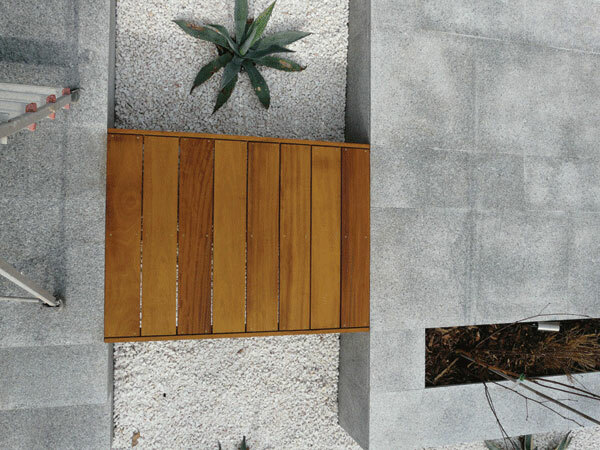 Another advantage of decking is that it occupies a unique space between the two worlds of hard and soft landscaping, with direct links to both; an engineered man made structure and building material, which still retains its natural organic quality – soft to the touch and tactile under bare foot. Finally, of all the landscaping materials found in the garden, wood is the most environmentally beneficial, with the energy required to both harvest and process trees into timber products being far less than most other non-renewable manufactured options, with even the by-products of the production processes having uses as sawdust and bark mulch.